Early Music Ensemble is offered in Fall and Winter quarters of the 20178-19 School Year. The class is open to all undergraduate and graduate students interested in exploring early ensemble repertoire for voices and instruments. We will be focusing on Renaissance and Baroque repertories. We have a number of instruments available for student use including lute, baroque guitar, harpsichord, viola da gamba, and various wind instruments including Renaissance flutes. Guitarists and singers are particularly encouraged to apply. We also incorporate modern instruments—e.g. guitar, violin, oboe, etc. Ben Dorsey, baroque violin. Senior Recital Excerpts, UCSC Recital Hall, May 2017. 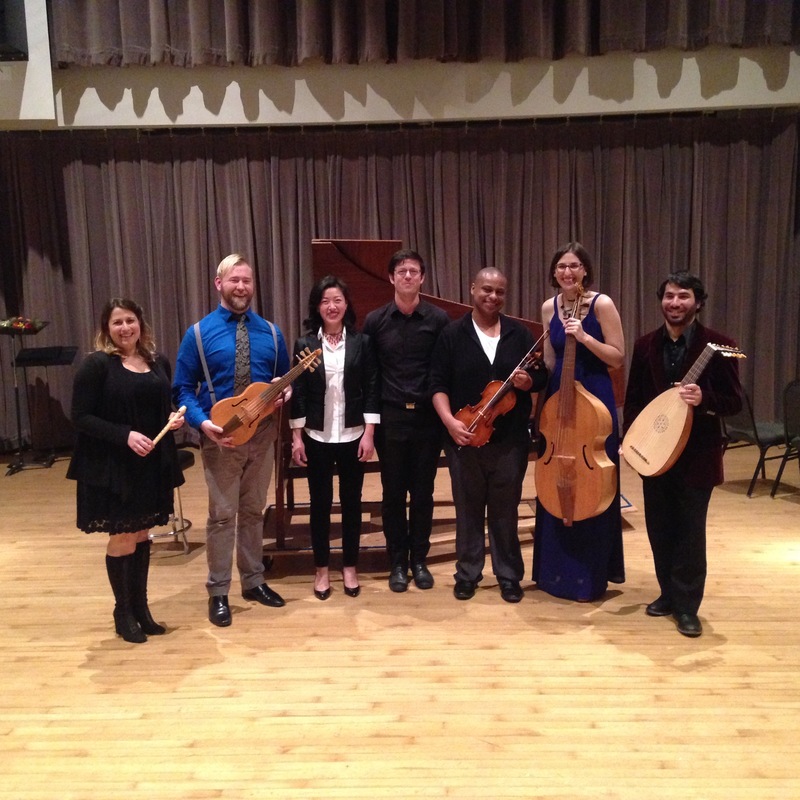 UCSC Early Music Ensemble, Excerpts from March 2015 concert. For many of the students in this concert, this was their first concert playing baroque music. We used both modern instruments (bowed strings and guitars) and replicas (harpsichord, lute). See the Auditions Schedule and the Schedule of Classes for further detail.